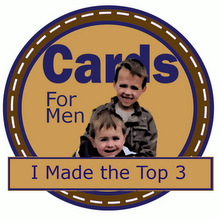 Ukens utfordring inne hos Gingerloft Challenge er "Anything but a Card". Jeg har dekorert en STOR sjokoladeplate som skal gis bort til påske. Motivet er "Basket" fra GingerLoft. 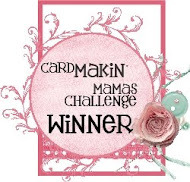 This week challenge at Gingerloft Challenge is "Anything but a Card". I have decorated a BIG chocolate to be given away for Easter. 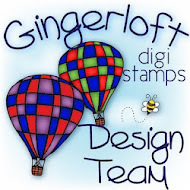 The image is "Basket" from GingerLoft. Jeg har brukt grønn bazzill. Mønsterark fra October Afternoon - Lemon Drops. MS punch - doily lace. Bokstaver fra QK - metro. I have used green bazzill. Pattern Paper from October Afternoon - Lemon Drops. Letters from QK - metro. Pollycraft - mmm Choklit ! Her ser det ut som det blir hvitt til påsken. Det er igjen blitt hvitt ute og det kunne jeg vært foruten. Jeg vil ha VÅR !!! Men når været er dårlig er det greit å være inne å kose seg. Look likes we are going to have a white Easter this year. It's white outside, and I don't like it. But when the weather is bad it's nice to be indoors to enjoy. Wishing you a great sunday. These are always a good gift or craft fair idea. 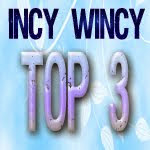 I love the swirly bow on the basket image. Really pretty coloring too. Nice job! Very pretty - love the patterned papers and feathers. The little basket of eggs is so pretty. Thankyou so much for joining us at Tuesday Throwdown this week! What a lovely project I love it! Thanks for playing at The Crafty Pad this week! Your project is gorgeous and sweet, too! 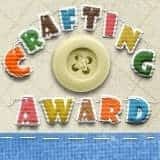 Thank you for participating in the Craft Us Crazy Anything But a Card Challene! Another cute project, Berit! 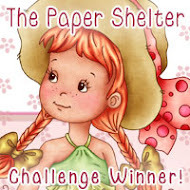 Thanks for joining us again for the Easter challenge at the Papercraft Star. Thanks for joining us for our what Easter means to you challenge. Great Easter project. Thank you so much for joining us at Top Tip Tuesday and Craft Us Crazy for our challenges. The chocolate cover looks so festive! You have colored the basket so well, and the feathers look so fun! Thank you for joining us this week over at the Papercraft Star! Thanks for sharing at Creative Craft Challenges. Yummy!! What a fun idea to decorate a chocolate bar!! Thanks for joining us this week at Frosted Designs!! Your project is lovely. Thanks for joining us at One stop craft. Beautiful project . Thank you for sharing it with us at anything goes challenge. Thanks so much for joining us at The Sisterhood ‘EASTER’ challenge and please come back again soon! Very pretty card.love the colors and feathers.Thanks for joining us at Milk coffee stamps challenge. Wonderful tag! The feathers are such a fun addition. 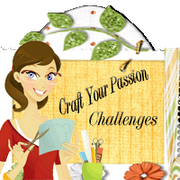 :-) Thanks so much for joining our challenge this week at Papercraft Star! What a great project! That certainly is a very big bar of chocolate. 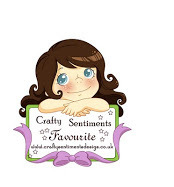 :) Thanks for joining us this week at Totally Papercrafts. What a great way to decorate those Easter Give-aways! Fantastic idea! 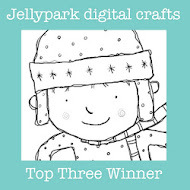 Thanks for taking part in the Crafty pad challenge with us. That's a great idea! I love the colors and the feathers give it a nice touch! Thank you for joining us this week at Frosted Designs! That's a big chocolate?! It's beautiful and tasty...who wouldn't love that! 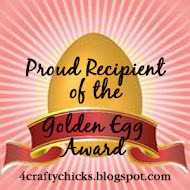 Thanks for playing along with The Sisterhood of Crafters for our Easter Challenge! Berit: Such a great chocolate bar--Love it. 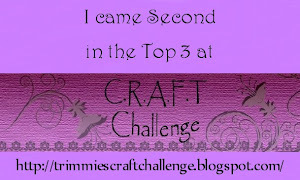 Glad you could join us at Simply Create Too for Challenge #10 – “Eggs and/or Bunnies”. Beautiful chocolate creation....love your feathers...thanks for joining FFF's challenge Spring Fling!